Airlineratings.com presents our independent JetBlue Airways safety ratings and reviews. Small snack (chips, peanuts, etc), soft drinks, tea and coffee provided complimentary. Snack boxes and alcoholic beverages need to be purchased on-board. Fresh food not available on overnight flights. 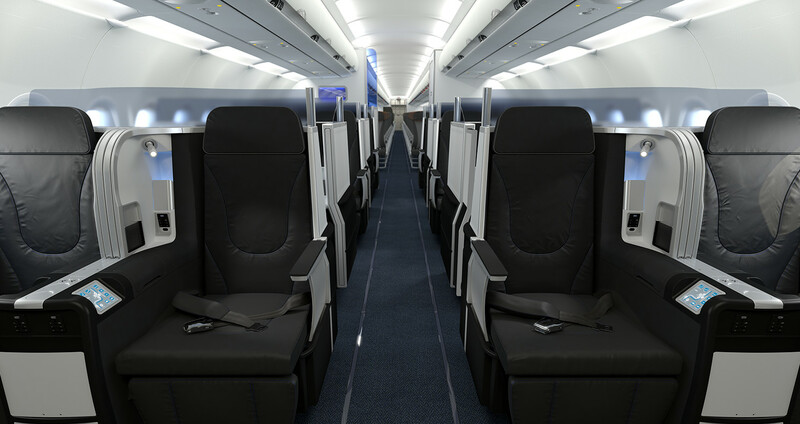 Personal seatback screens showing television. Movies on flights longer than two hours. Audio on all flights. Free Wi-Fi available for all seats. Seat pitch of 32-34 inches. Extra space seats with seat pitch of 38 inch available for fee. Exit row seats do not recline. USB port and power outlets included with all seats. Blankets and pillows available for fee, eye shades and ear plugs provided complimentary on night flights. The airline offers passengers the choice to have their bag delivered to their business/home/hotel for a fee at selected ports rather than having to wait for their baggage at the traditional baggage carousel. Available on selected flights including coast to coast and Caribbean routes. Fully lie-flat beds with masssage facility. Suites have their own door for privacy. Seatback screens are larger than in economy class. Premium food menu and complimentary drinks. Seats have a width of 22 inches and transform in to a 6 foot 8 inch lay flat bed. Carrier must verbally offer cash/cheque for Denied Boarding Compensation if the carrier verbally offers a travel voucher as Denied Boarding Compensation to passengers who are involuntarily bumped. Carrier must inform passengers solicited to volunteer for denied boarding about all material restrictions on the use of transportation vouchers offered in lieu of cash. Minimum denied boarding compensation limits are $650/$1,300 or 200%/400% of the one-way fare, whichever is smaller. U.S. and foreign air carriers are not to permit an international flight to remain on the tarmac at a U.S. airports for more than four hours without allowing passengers to deplane subject to safety, security, and ATC exceptions. This applies to small hub and non-hub airports, including diversion airports. Notification of the status of delays must be given every 30 minutes while aircraft is delayed, including reasons for delay, if known. Drinks and snacks must be provided once the delay is over two hours. 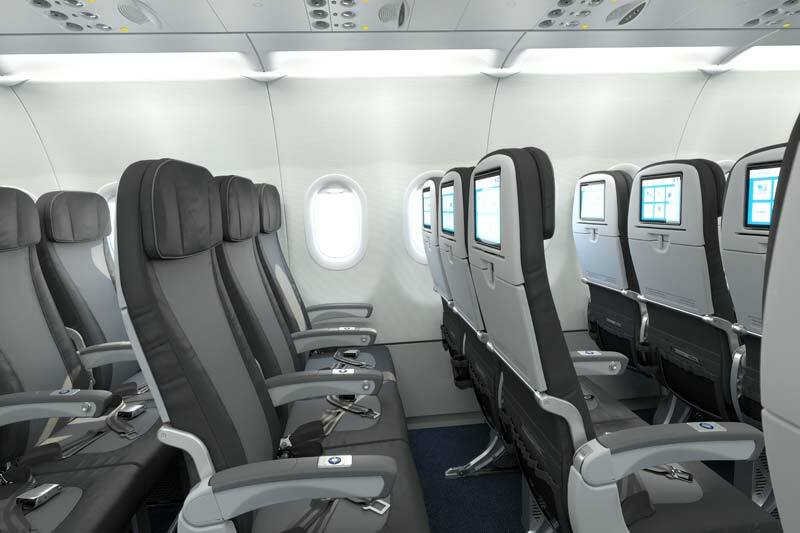 The airline will also provide in flight entertainment. 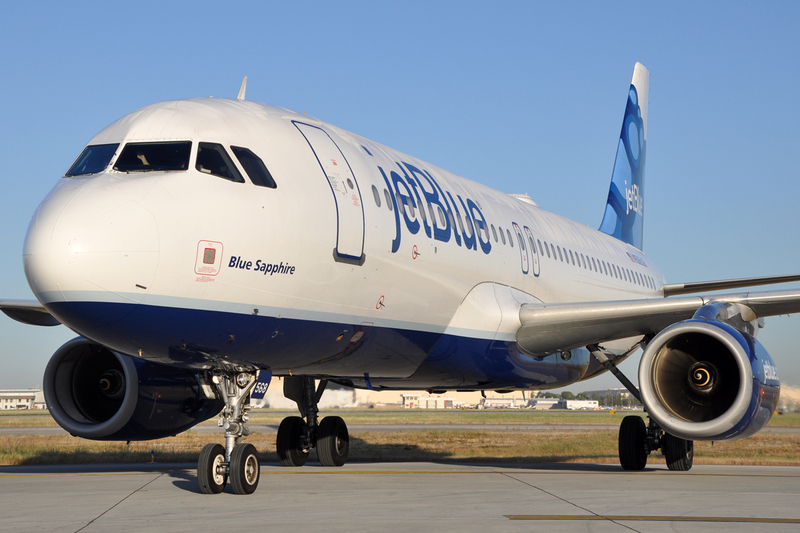 Click here for more information about our JetBlue Airways reviews and safety ratings system.